Getting back into online poker after a lengthy break is a problem that many people face. I know because they send me emails about it all the time! The transition is unfortunately not always easy because the landscape in online poker can change pretty fast. If you have only been away a year or two, then chances are you won't have too many problems. However, if you have been away for 5 years or more, you might be shocked by the level of play even at the lower limits these days. So in this article I am going to offer some advice on how to get back into online poker (and most importantly start winning) even if you have been away for quite some time. Is Online Poker Even Worth It These Days? Let me start with if poker is even worth it these days, because this is something else that I also get asked all the time. Well first off, sorry to disappoint but I can't actually answer this question for you. Let's consider where online poker is today though. Is poker the gold rush that it was 10 years ago? Absolutely not. Is it even as easy as it was 5 years ago? Nope. It is pretty much impossible to make 6 figures a year anymore unless you play mid stakes. And pretty much nobody is making 7 figures anymore unless you play nosebleeds and are one of the best poker players in the world. Does this mean that playing online poker is pointless? Far from it in my opinion. 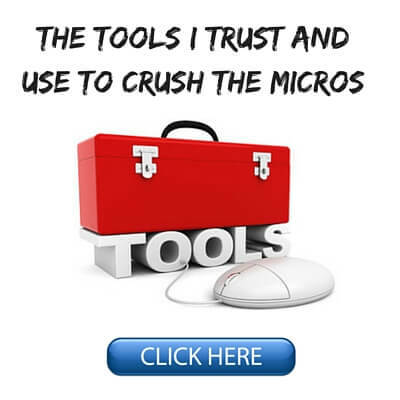 If you have a solid career (or you are currently a student who is on your way to getting one), then I would say that trying to go pro especially at the micros these days is a poor idea. However, many people still make a solid part time income with online poker. And yes, many, many people still make a good full time living playing this game also. I have lived in Thailand for nearly 5 years now. There are countless foreigners out here playing this game full time. And early next year I will mark 10 years myself of playing poker either professional or semi-pro (I quit my last "real job" in April 2007). Also, this question ("is poker worth it") almost always seems to get framed within the context of first world countries. As if everybody on earth who plays online poker ONLY comes from countries like America, Canada or England! In many Eastern European, South East Asian or South American countries for instance $500 a month is a very good income, upper class in some cases. Is making $500 a month at online poker hard even as we enter 2017? Lol, no. Poker is by no means a walk in the park these days either. It takes some serious dedication to win big (several thousand a month or more). You have to work consistently at improving your game, tilt control, table selection and have a solid work ethic. The good news though is that if you left poker within the last 5 years (i.e. after Black Friday), you probably won't notice too many huge differences. People have been crying about the state of the games for quite some time now because it is much easier to blame their inability to win on "tough games." This keeps them from addressing the fundamental issues with their game and lack of work ethic which are the real reasons why they don't win. But a lot of these same people simply haven't been around long enough in this game to understand the complete picture either. All of the major changes in online poker actually occurred between 5 and 10 years ago. 10 years ago online poker was a total joke. You had people playing 10/20 on Party with $2000 in front of them who barely knew if a flush beat a straight. I came up in these games, and like many others, I foolishly thought that the free money would last forever. I didn't grind anywhere near enough. I got lazy. Video games or partying were more important. I should have made millions. I regret it to this day. Because of course this gold rush was never going to last forever. Fish don't have limitless money to lose. Also, a global recession (2008, 2009) and government interference in the industry (capped with Black Friday in America in 2011), killed this remarkable moment in online poker forever. But even by 2011 the games were already playing way tighter. The totally clueless fish had long since gone broke. The training sites were already well established and the overall level of play had risen dramatically. The real golden era in online poker, when the money was literally falling from the sky, happened between 2005 and 2008. And I am sorry to say but those days are never going to return again. 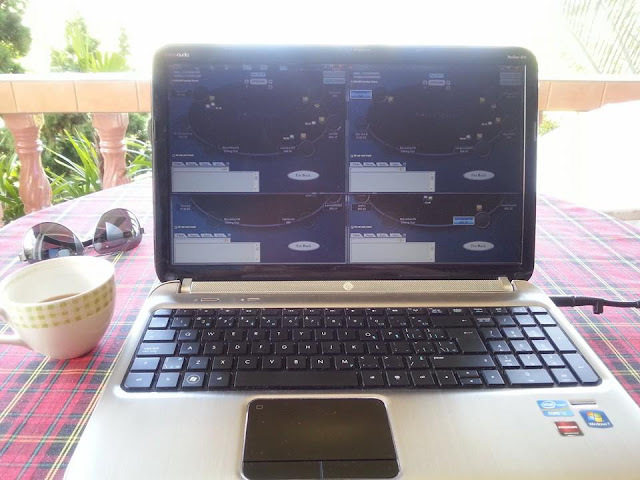 So What Has Actually Changed in Online Poker in the Last 5 Years? If you haven't played online poker in 5 years the one difference that you will undoubtedly notice right away is the level of aggression even at the micros. The games don't really play that much tighter, but you will get 3Bet or even 4Bet light for instance a lot more often. Also, regs understand ranges better and they don't always take the same line with the same hands either. Lastly, many regs these days have developed some ability to bluff and their mental game is slightly improved. Now, if you are coming back at NL2 or NL5, most of the games here are still a complete circus, full of terrible players. I even made an entire video series earlier this year (2016) to prove this. My winrate was something totally ridiculous like 35bb/100 and I had massive fish (usually several) on every table. However, if you want to pick things up again at NL25 for instance, you will notice more aggression and you will have a harder time even finding the fish. This is why table selection is so massively important in today's games once you get past the very lowest limits. It isn't an option anymore. 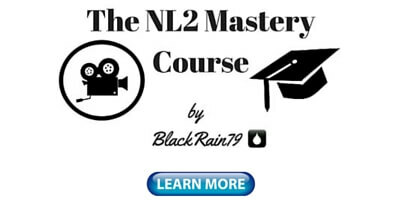 It is something you simply have to do if you want to achieve big success in online poker. What Has Changed in Online Poker in the Last 2 Years? The games have gotten perhaps even a bit more aggressive but there are no massive differences here in late 2016 compared to say 2014. Again, if you read poker forums a lot (full of losing players), you will constantly see people whining about how the games get harder every week or something ridiculous. Gotta blame their lack of success on something! But the reality is that the games have been playing tight and aggressive for many years now. There are good regs, there are bad regs and there are a few fish floating around. There have been no earth shattering changes in the way that the micros in particular play over the last several years. There are still a few things that you should keep in mind though. Firstly, once again you need to pay more attention to table selection than ever before and this extends to site selection as well. 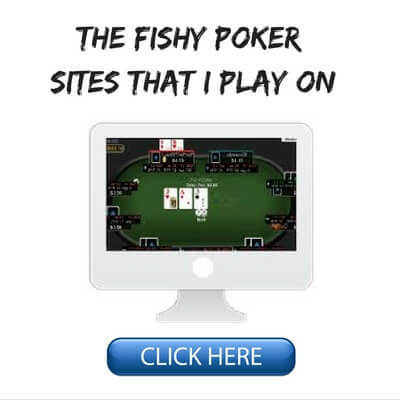 Simply put, play on easy poker sites. Mass tabling for rakeback on Pokerstars is pretty much a thing of the past at this point. Focus on playing with bad players and a lower table count instead. Also, with the more aggressive regs, don't get into ridiculous 4Bet/5Bet levelling wars with them. Play more hands postflop and just call down lighter overall. Infinite aggression is easily countered in this way. Also, be willing to explore new ways of abusing all the bad regs such as by bluffing scare cards more often, stabbing at more pots and taking weird lines to confuse them. Lastly (and amazingly still almost no one is doing this), learn how to tilt the regs. This is one of the easiest ways to turn good players into fish. 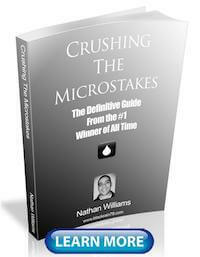 Most players at the micros (even the best regs) tend to have a weak mental game. Indeed, this is often the biggest reason why they play at these limits. 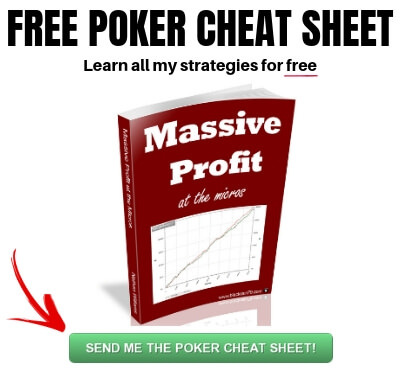 What I had to learn many years ago is that it is important to simply accept online poker the way it is today. Instead of whining and complaining it is better to look for the good in it. The sense of entitlement out there is crazy with some people. This game doesn't owe anybody anything. You get what you put in and if you want it bad enough, there is always a way to achieve big success. For me personally, online poker has been a blessing. This game has completely changed my life and has allowed me to live life on my own terms. While I might not be rich from playing it, I live in places that most people only get to see on vacation and I also travel frequently as well. I wouldn't trade that freedom for anything. Has it been easy? Hell no. I have almost thrown in the towel completely on so many occasions. And I would love nothing more than to hop in my time machine and go back to 2006. I would grind around the clock nonstop! But this isn't the reality that we are in today and lamenting the fact that the games used to be so much better accomplishes absolutely nothing. I still keep playing this game because I have a deep passion for it and because I know that I can make decent money doing so. I have learned to respect it, accept it and move on. 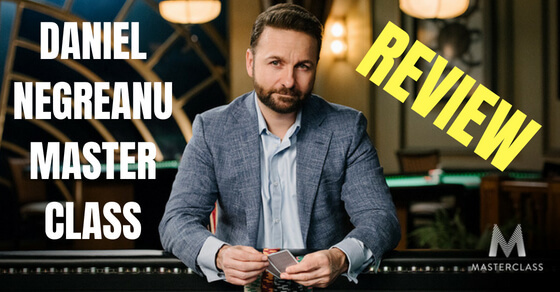 If you are coming back to online poker after a lengthy absence, I would recommend starting at the lowest stakes for now and always using proper bankroll management (at least 30 buyins). I would also consider signing up at a good training site or checking out some modern books. 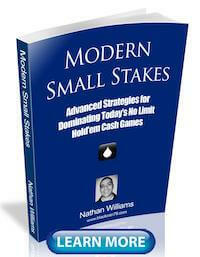 I would also suggest picking up a copy of my free guide on how I created some of the highest winnings ever at these stakes. Other than that, just relax. Online poker is still largely the same old game that it has always been. While the millionaire club might be shrinking this doesn't mean that there isn't still decent money to be made. The bottom line is that if you are willing to work hard both on and off the tables, then there is no reason why you can't turn online poker into a solid part time or even full time income as we enter 2017. Speaking of that, stay tuned because I will be releasing my guide to beating online poker in 2017 in the next week or two. 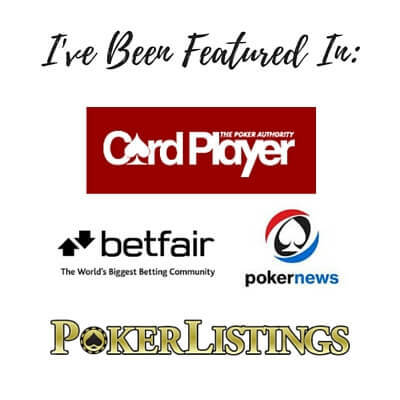 Let me know in the comments below what you think of online poker these days. Is it still worth it in your opinion? Do you have any advice for somebody just getting back into the game? Haha thank you Miguel. That might be the best compliment I ever received! I know I haven't released anything big in quite some time. I do have a major project planned for 2017 though :) Happy holidays to you as well! The variance with tournaments is crazy but if you want to play against bad poker players, I think MTT's are still absolutely full of them. This is especially the case at the lower levels. Merry Christmas to you as well! Thanks so much George. Merry Christmas and a happy new year to you as well! If cash game winnings are slowing down maybe tourneys and s&g's are the way forward. But I do prefer playing cash games..